References to time, place and memory occur frequently in my work. My current body of work explores mapping a journey, the abstract symbols and imagery used to chart the journey, and how the journey becomes a place when depicted as a map. 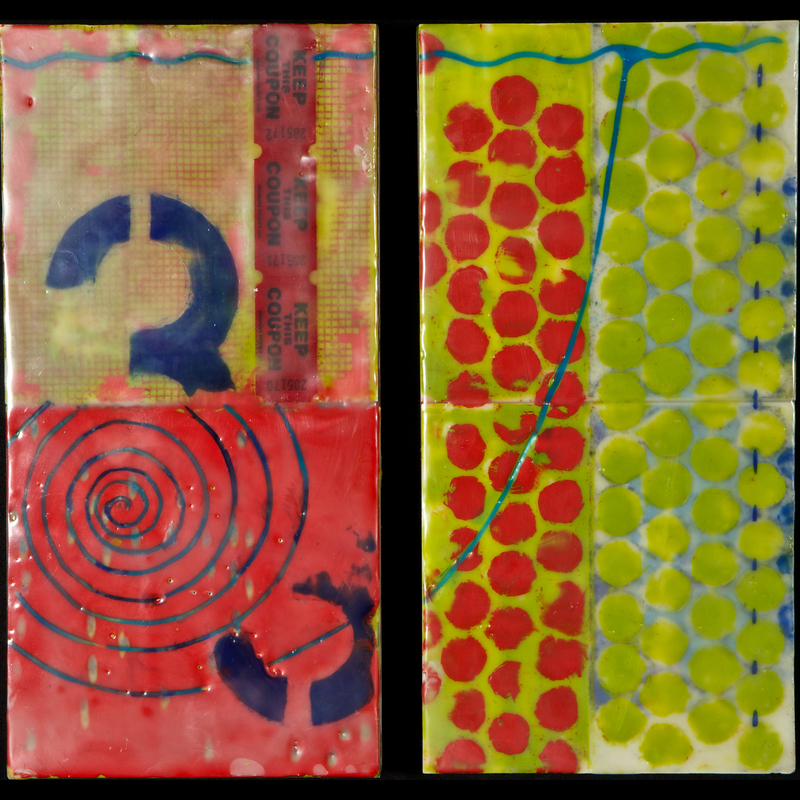 The materials I employ, encaustic and mixed media collage are an integral piece of the process and journey, a spontaneous, unfolding puzzle. A successful painting invites the viewer in slowly, to appreciate and experience rather than analyze. I employ commonplace symbols and fragments, a key, a photo long forgotten, images taken out of familiar context; concealed and revealed through layers of process and pigment creating atmosphere and place while revealing new visual relationships.